Facts, trivia and so many stickers! Fluffy chicks, stubby flippers, solemn faces. Aw. Our flagship fact series now has an awesome new sticker range. And to kick off the fun, we’ve got a gorgeous treat for you. None of you can resist a podgy little penguin, can you? So come and find out all about these cute and curious critters. This is reading with a difference, full of jokes, cartoons, colour photos, crazy facts and hundreds of stickers. 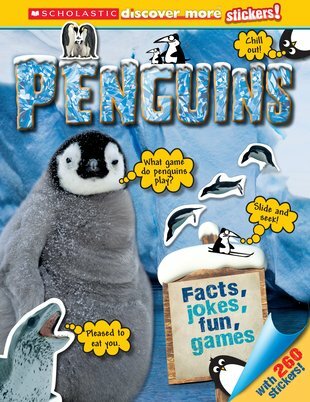 You’ll love the great activities: balancing eggs on an emperor penguin’s feet, feeding little fish and escaping great white sharks!